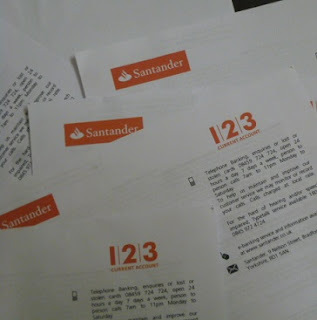 Bank statements: let the joy be unconfined. When was the last time you looked at your direct debits? (And no, this isn’t some kind of strange euphemism). Now, I appreciate bank statements might not make rip-roaring reading. Checking online banking hardly makes me want to punch the air with delight. But direct debits have a sneaky habit of siphoning off cash when you least expect it. Sure, they can be a great way to save money on bills. Agreeing to pay for the likes of gas, electricity and phone by direct debit usually gets you a cheaper tariff than waiting for a bill each quarter. With other direct debits, it pays to keep an eye on your account, and check from time to time whether they’re worth the money. So on Day 8 of my October savings challenge, I resolved to double-check any direct debits and standing orders, and ditch any that I no longer use. Much as it saddens me, there’s a whole long list of direct debits I can’t just scrap. We tend to pay for other forms of insurance (buildings and contents, car insurance) once a year in a lump sum, as it’s usually cheaper than spreading the payments out via monthly direct debits. There are also some direct debits and standing orders set up to sort out our finances. I’m thinking here of the direct debit that pays off our credit card bill in full every month, the standing orders into regular savings accounts and the merry-go-round of standing orders to fund assorted interest-paying current accounts (of which more in another post – once I’ve written it…). – in fact any membership that doesn’t get used, for anything from the National Trust to your kid’s karate club. So on Day 8, I thought I’d double check our direct debits, to help with the “spend less” part of the October savings challenge. Now I keep a beady eye on our accounts, so I didn’t think there was much I could ditch. However, I did remember to cancel the direct debit for a web analysis package, where the free trial period was about to expire. Free membership was fine, but I didn’t fancy paying $10.99 a month for the privilege, or whatever that comes to in pounds when sterling is skiing off a cliff at the moment. I also finally hardened my heart, and rang to cancel my premium membership of the bounts app. If you’ve never come across bounts, it’s a smartphone app that pays you to walk. I remember the first day I downloaded the app and connected it to a fitness tracker. I ended up walking around in the rain for a hour, carrying a frozen chicken. It was all in a vain effort to rack up enough steps to earn points to turn into gift vouchers. 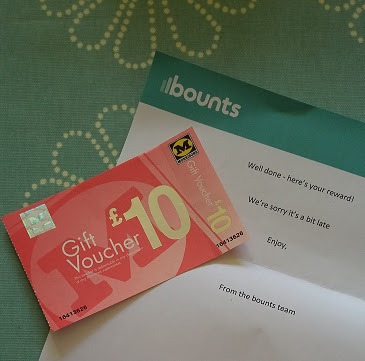 I’ve benefited in the past to the tune of a £10 Morrisons voucher, but now I can never find anything in stock on the Bounts website. So I emailed to cancel the heady heights of my £1.49 a month subscription. By switching back to free membership, I can still earn points, just not so fast. And it all seems a bit pointless, if there’s nothing in stock for me to buy with my points. I don’t think I’ll be funding Christmas from Bounts alone, but every little helps. Stay tuned because later in the month I want to look at making money from my direct debits. Earnmore: still £13.21, mainly from supermarket cashback apps. Anyone saved a bundle by cancelling unused direct debits? Or is your current account completely spick and span, with any regular payments pared down to the minimum? It's always amazed me that people can go on paying for things by DD without knowing, and for things they don't need. I class them as More Money Than Sense which makes me sound rather too much like my Mum! Ha! I quite fancy the idea of having more money than sense. In the mean time, I'll just have to keep plugging away at the savings challenge!